This recipe was perfect for the Holidays this year! These are a little different than your typical sugar cookies made with white flour, but these taste GREAT and are so much better for you. These cookies bake up a little more cakey in texture than crispy-crunchy. 1.) Preheat oven to 350 degrees and line cookie sheet with parchment paper to prevent sticking. Mix together almond flour, almond extract, eggs, sea salt, coconut oil, lemon zest, baking soda and stevia. 2.) Shape dough into Tablespoon sized balls one inch apart on cookie sheet. 3.) Bake until puffed and golden, about 14-18 minutes. Cool cookies on baking sheet about 2 minutes before transferring to a rack to cool. TIP: Top dough balls with raw sliced almonds or raw pine nuts then bake for a decorative touch. For another variation, drizzle baked and cooled cookies with melted unsweetened chocolate mixed with stevia. Thank you so much for your blog! One question .. we have intolerances to almonds.. have you found anything that can work as a replacement and still be good for the advanced plan? Thank yoU! Hi Lindsay! It won’t work for this specific recipe, but coconut flour is another Advanced Plan option. Coconut flour is mostly fiber, so if you are going to use it in recipes in place of other flours, you’ll need to add a lot more liquid to the recipe and use about half as much coconut flour as the recipe calls for. If other nuts are okay for you, you can instead use other nut flours, like walnut or cashew flour. They’ll have more fat, so will burn more easily, but still an Advanced Plan option. I am from a really small town, where I can only find one brand of stevia which has a horribly bitter aftertaste! Could I use powdered xylitol in this recipe instead? If so, how much? It’s there a typo ? Do u mean 1/8 teaspoon? Cup seems alot! These didn’t work for me. The type of stevia I use for my the recipes on my website is Stevita brand Spoonable. It’s pure stevia blended with a xylitol/vegetable glycerin filler to make it easier to bake with. I assume you used a full on pure stevia powder? Oops, sorry about that! :) You can read more about all the ingredients I use in the Ingredients & Resources tab at the top of the page. I have adjusted the recipe to read 2 Tbsp of Spoonable Stevita stevia (1/8 cup = 2 Tbsp). You can use more or less depending on your tastes. 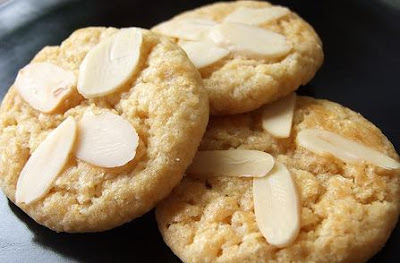 Can I use unblanched almond flour? I prefer leaving the skins on. Second, can I use regular powdered stevia or the liquid? If so, do I need to change the recipe? Thank you. Hi Cathy, Yes you can use unblanched almond flour. Shouldn’t compromise the taste. For the stevia, I personally only use the Stevita brand, so I can’t speak for other brands of liquid or powder stevia. I’d say add it a few drops at a time and taste until you reach a sweetness level you prefer.